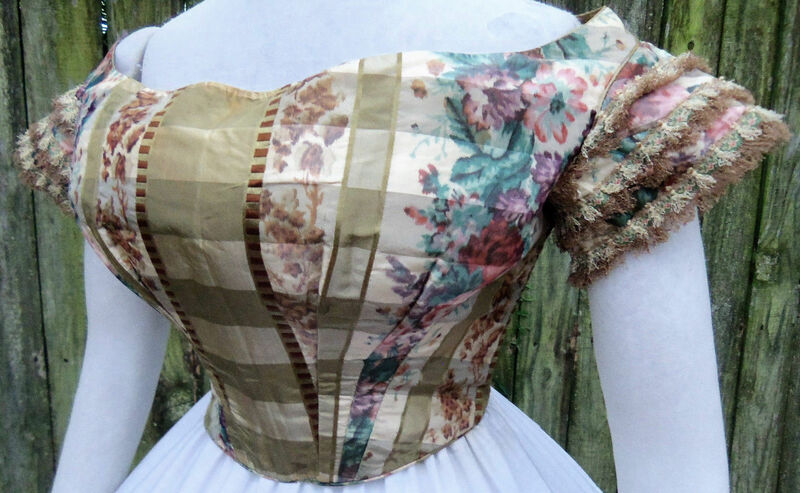 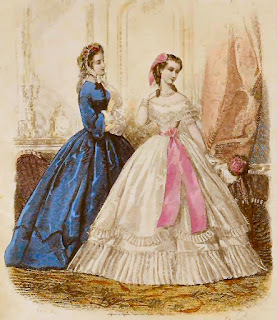 This auction is for an original lady's Ball Gown bodice from the Civil War period. 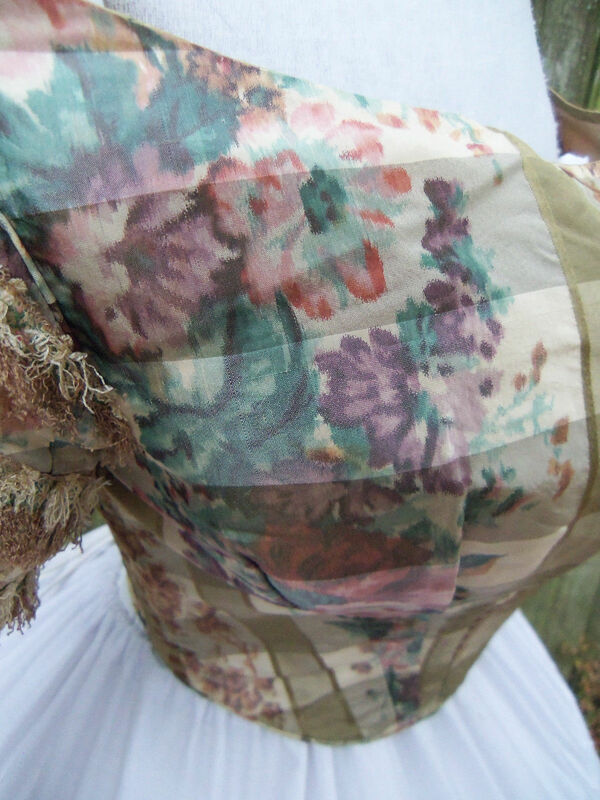 It's made of vibrant floral-patterned silk chine. 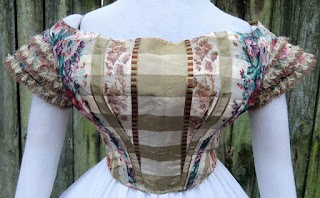 Features include dropped shoulders with piped armholes, waist and neckline. 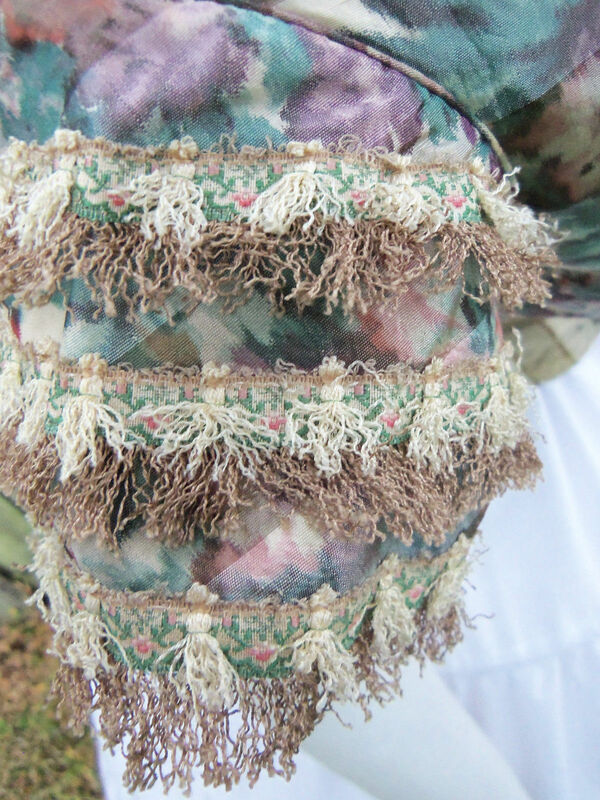 The sleeves are elegantly and lavishly trimmed out in colorful fringed braid! 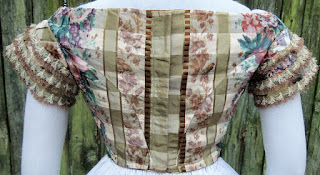 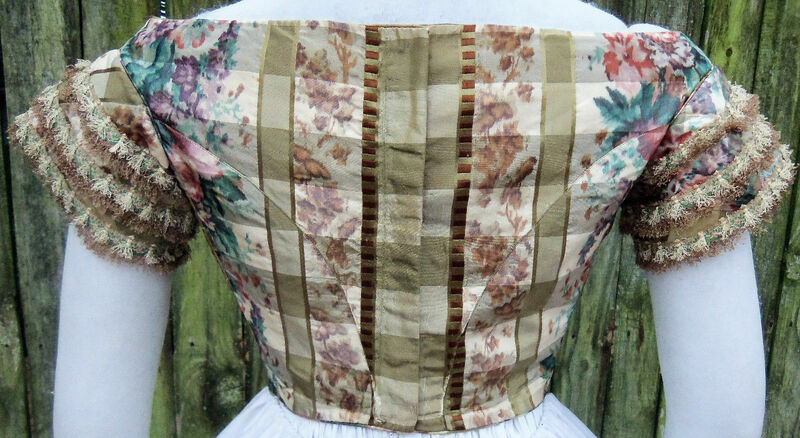 The bodice is boned and lined with off-white cotton twill. 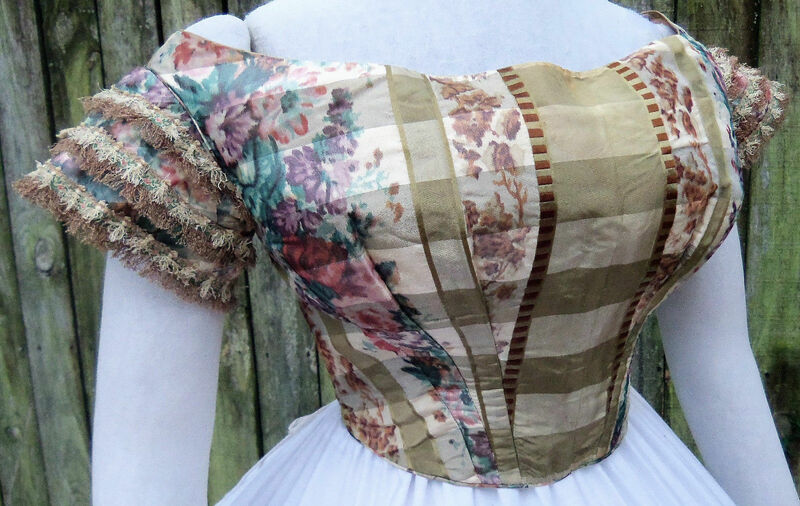 This is a classic example of Civil War Era bodices and dates to the earliest part of the war. This is a great addition to any collection! 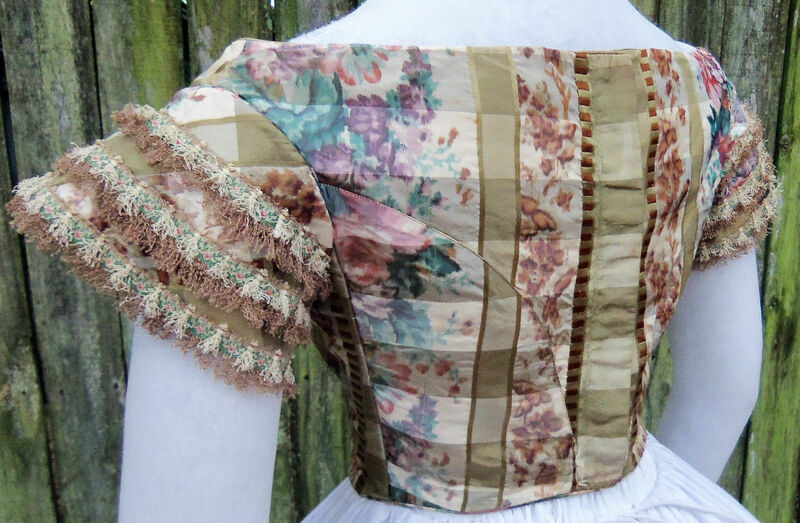 Not Wearable. Measurements are: The bust measures about 38 inches, The waist measures about 25 inches. The style of the waist line makes me think this is American Civil War era. 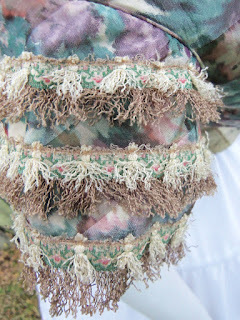 Personally, I love the layers of double fringe. They weren't scared of mixing patterns!